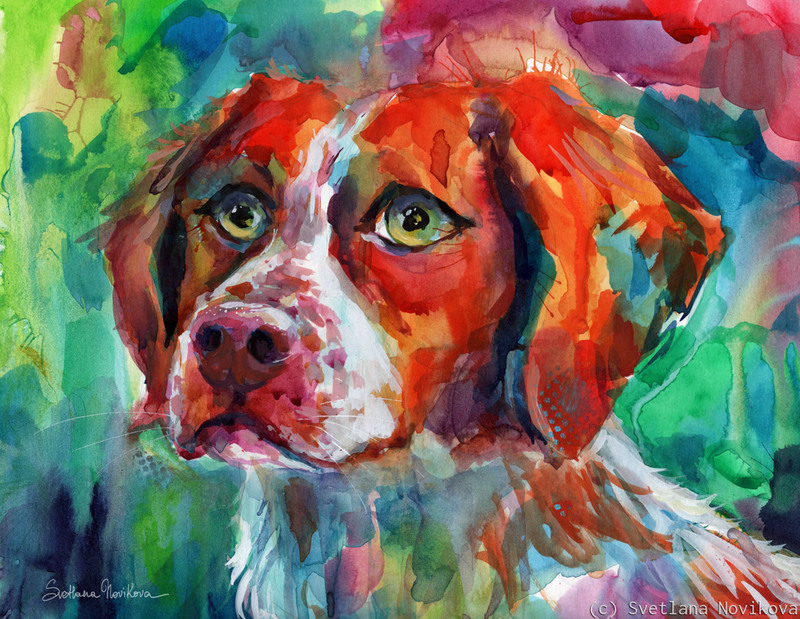 Colorful Brittany Spaniel dog portrait in watercolor by Svetlana Novikova, all rights reserved. Original is currently available for sale. I am accepting custom Pet portrait commissions from your favorite photos.